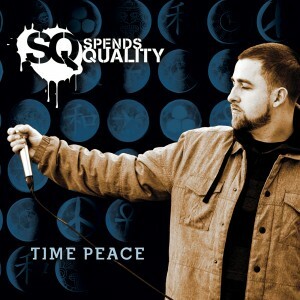 Time Peace is a perfect one-two punch from Northern Cali production savant Mr. Tay and West Coast wordsmith Spends Quality. The name reflects the optimism of a clock ticking towards a time of peace, both personally and globally, heralded by soulful beats and wise words. Sophisticated musicality and head nodding drum sounds frame artistic lyrical styles that are philosophical but never get too cerebral to funk up the party. Guest spots from advanced spitters Adam Fission, Miss Marianna and Brycon help Time Peace get the hands up like it’s high noon. No events are currently listed. Spends Quality © 2019. All Rights Reserved.